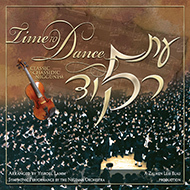 The TIME TO DANCE series broke new ground in the world of inspirational Chassidic music — both in the unrivaled beauty of the musical arrangement and performance, and at the same time, in the particular care that was given to maintaining the integrity of the original nigun. 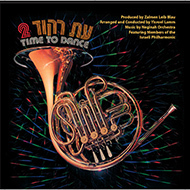 The selections are marches, waltzes, and Hakafa nigunim — wonderful, uplifting melodies, never heavy or ponderous. They combine excellence of composition with deep spiritual inspiration. 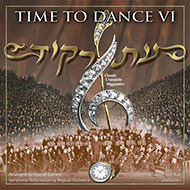 Performed by full-size orchestras, including some of the world’s best, these recordings are arranged to please the most discriminating ear, and touch every Jewish heart in a very special way. Chassidic music is directed toward the inner soul. It prods, demands, and requires the listener to confront the greatness that lies within each one of us. These are nigunim composed by men of great piety and learning, whose music gave expression to their deepest religious feelings. 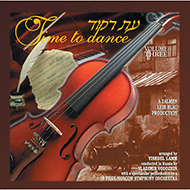 These melodies are the product of dveikus that emerged from their total devotion to Torah and Tefillah. 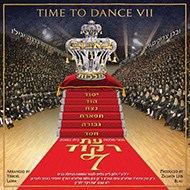 For the chassid, the dance, the nigun, is an integral part of his avodas Hashem. The voice sings because it must; the feet lift from the ground because the body can no longer contain the ecstasy of the soul. 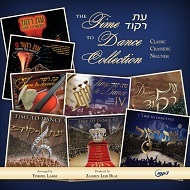 It is in this spirit that we offer this uplifting music to the Jewish public. The seven notes of neginah are said to correspond to the seven Sefiros, thus with the publication of this seventh part the Sefirah of Malchus is complete. What a beautiful celebration of the simcha of the royal house of Bobov. 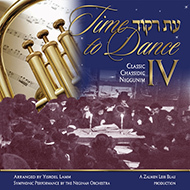 Time to Dance Volume Seven comprises a selection of nigunim from the ancestors of the chosson and the kallah: the Kedushas Zion ztvk’l Hy’d; his son, the Rebbe HaRav Shlomo ztvk’l; and the renowned chassid, chazan and composer, HaRav Chaim Dovid Blum zt’l Hy’d. 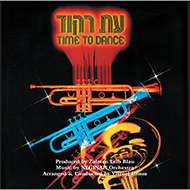 Time to Dance Volume 7 is performed by the Neginah Symphony Orchestra, arranged and conducted by Yisroel Lamm, produced by Zalmen Leib Blau.